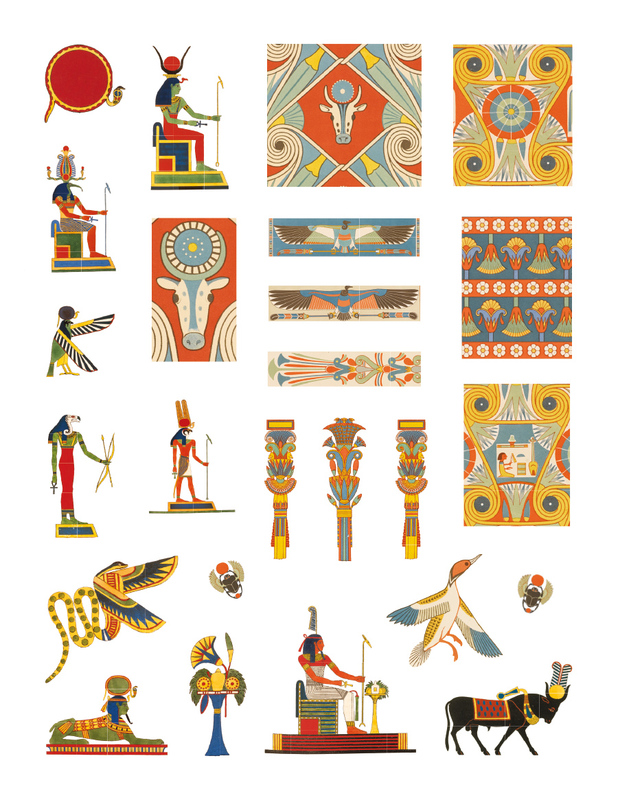 This colorful collection of Egyptian designs and deities offers myriad possibilities for hours of creative play. 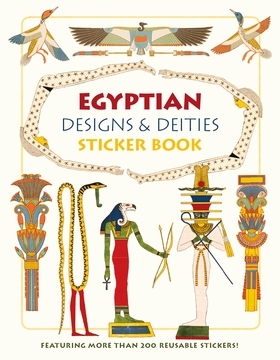 Make up your own stories based on the characters, colors, and shapes of the stickers, or use them as a starting point to learn more about Egyptian history and culture. 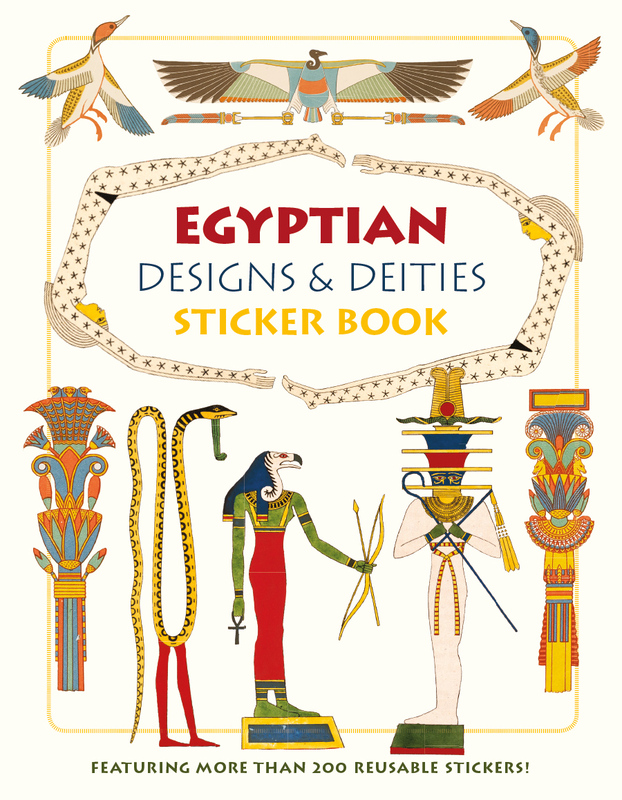 Ancient Egyptians often painted protective gods inside tombs to help the deceased on their journey to the afterlife. Despite having a palette of only six basic colors—red, blue, yellow, green, black, and white—the paintings were distinct and vibrant. 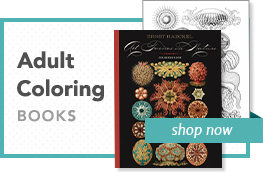 The pigments were made from mineral compounds and retained their vibrancy for hundreds of years. Colors were symbolic, and in fact the hieroglyph for color can be translated as “being” or “character.” But colors were not always what they seemed. Red, which often suggests anger or danger, could also mean health and vitality. Red was used to color the skin of Egyptian men, both in paintings and in life during celebrations. Black, which is often associated with death, can also signify rebirth because of the rich, black soil that appears every year after the flooding of the Nile River. What do these colors mean for you?